That girl must get a bit annoying though, just hanging around striking a pose all day...I wonder what far off land he picked her up from...? 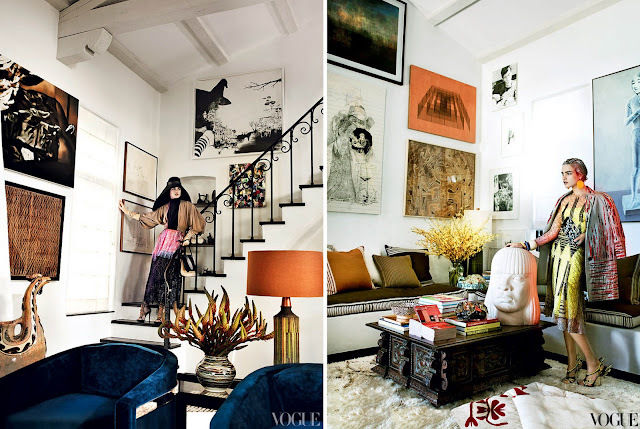 What an eclectic home! I think I'd go through it like through a museum:-) great find! Have a fab weekend!